Accurately report the locations of fleet vehicles. Review idle and stop times to bolster employee productivity, while potentially prolonging fleet vehicle life. Improve dispatching by assigning jobs based on worker locations. Ensure equipment and vehicles are at the proper locations. 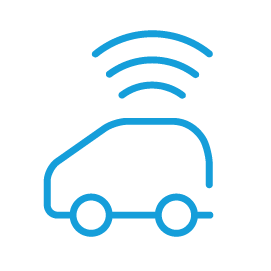 AT&T Workforce Manager for Vehicles uses sophisticated tracking technology to assist administrators when it comes to managing vehicle usage. Monitor and report driver behaviors and remain updated on vehicle service needs. 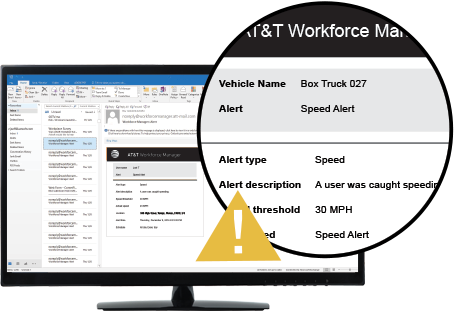 AT&T Workforce Manager for Vehicles can potentially prolong the shelf-life of your fleet vehicles and, in turn, strengthen the longevity of your business. 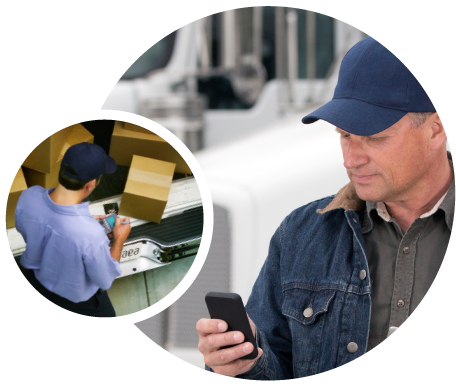 Track your fleet vehicles in near-real time and increase dispatch efficiency and workforce productivity. 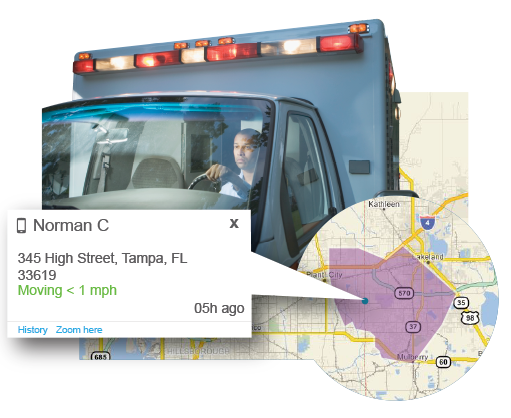 Establish virtual perimeters around high priority locations and receive alerts when your vehicles cross the boundary. View accumulated data on your vehicles and/or groups of vehicles in an organized, easily read layout. 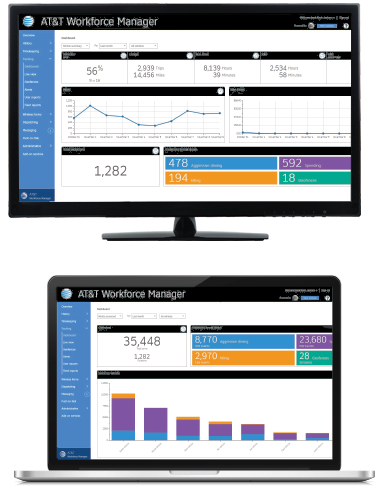 AT&T Workforce Manager provides you extensive visibility into the daily activities of your fleet vehicles. GPS tracking can be used to monitor your vehicle locations, and streamline your dispatching process. Knowing where vehicles are going makes it easier for dispatchers and system administrators to assign work on-the-go. Monitor and reduce instances of your employees leaving vehicle engines idling. Reduce your costs for fuel and maintenance by examining your vehicle usage. Optimize the routes your employees travel to minimize vehicle wear and tear. 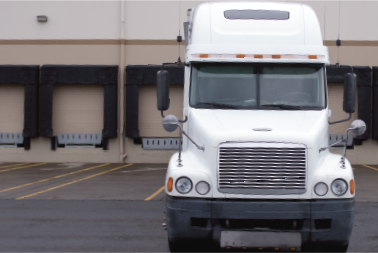 Managers can use GPS tracking to monitor vehicle locations and streamline dispatching processes. When you know where your vehicles are going, it’s easier to assign work seamlessly and intelligently. 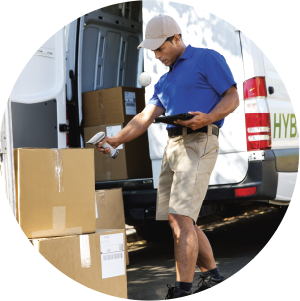 Control and reduce how often your employees are leaving fleet vehicle engines idling. More fleet insight can potentially lower fuel and vehicle maintenance expenses. Ensure your employees operate efficiently, by assigning them the most optimum driving routes every time. Cluster - blue circle with concentric rings showing multiple user at a location. The number of user in the cluster is indicated by a number in the center. Moving - Green circle with arrow showing the current direction and speed. Non-geofence stop - Red octagon with timestamp showing a current stop at a non-geofenced location. Geofence stop - Purple octagon showing a geofenced location stop, including total time stopped. Idle - Orange triangle indicating no vehicle movement. For the map, it will contain a time indicating how long the vehicle has been idle. The user timeline will display the triangle with an exclamation point, and the list panel displays it as solid. 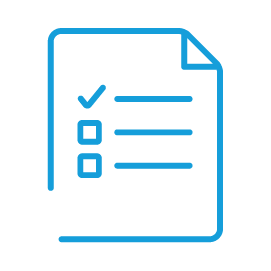 User icons to determine what type of link your employers have to the application. User and vehicle linked together. User has an AT&T Enhanced Push-to-Talk number in their profile. AT&T Workforce Manager makes it possible for you to create and utilize custom geofences that can help monitor the movements of your workforce throughout the day. Create virtual borders around specified locations that highlight areas you want your employees to remain at, or avoid altogether, according to your business needs. 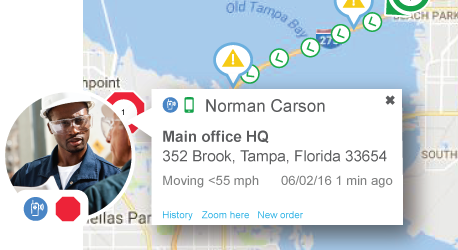 When a vehicle enters or leaves a designated area on your custom map, you can be instantly alerted via email. Keep in alerts you when a vehicle leaves an area, while keep out only triggers an alert when a vehicle enters a restricted zone. Reduce errors with time of arrival and time of departure notifications , knowing exactly when your employees arrive or depart from job sites. 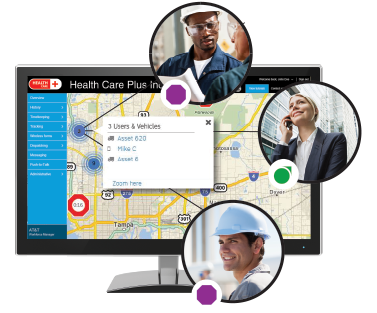 Administrators can build custom geofences in the AT&T Workforce Manager application by drawing right on the map. Geofences can be used to efficiently monitor the movements your employees make throughout the day by creating virtual borders around locations that you specify. Allow your employees to draw, enter, or import custom geofences that easily identify work sites or other areas of interest. Allow managers to run reports that show how long employees spend at the locations important to your business. Keep-in and keep-out notifications help managers reduce errors by showing them exactly when an employee enters a restricted area, or leaves an area earlier than they should. Aggressive driving - This alert is triggered when vehicles are driven aggressively with fast accelerations and sudden braking. Geofence - Triggered when employees arrive or depart a specified area that you deem to be important. Idle - Keep track of vehicles that are wasting gas by excessive idling. Speeding - Speeding alerts are set off when a vehicle is going faster than thresholds set. Stopped - Determine where users are stopped and for how long. This alert can be used to determine if there is a problem, or employees are stopped somewhere they shouldn’t be. Vehicle event - Triggered when ignitions are turned off or on, or when specific actions occur on a vehicle like a stop sign on a bus is activated or a pest control pump is running. 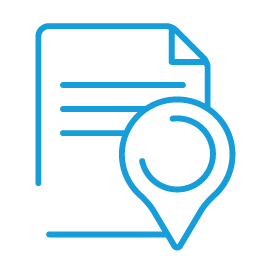 Your managers and system administrators can set near real-time notifications regarding vehicle locations, arrival and departure times, geofence breaches, and a host of other criteria deemed critical to the success of your business. Aggressive driving - Monitor vehicles that are driven aggressively by alerting you whenever fast accelerations or sudden braking occur. Geofence - Receive notifications alerting decision makers of whenever employees arrive or depart from specified areas. 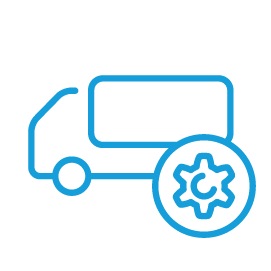 Idle - Allow your management team to monitor vehicles that sit idle for prolonged periods of times to reduce wasted gas and increase productivity. Speeding - Track and monitor employees who are speeding or operating vehicles recklessly. Stopped - Determine where employees are stopped and how long they remain stationary. This alert can be used to determine if there is a mechanical problem with vehicles, or if employees aren’t utilizing their time as efficiently as they could be. Vehicle event - See when ignitions are turned on or off, or when specific actions occur on a vehicle like a stop sign on a bus is activated or a pest control pump is running. The vehicle summary is a dashboard view that groups the data regarding your vehicles into a clean, easy to decipher page for analysis. You can use this to quickly examine how your fleet vehicles are being utilized by your employees. The vehicle scorecard is another dashboard feature that collects and displays violations for your individual fleet vehicles. The vehicle scorecard page breaks information down into vehicle specific categories (like the number of violations per vehicle). 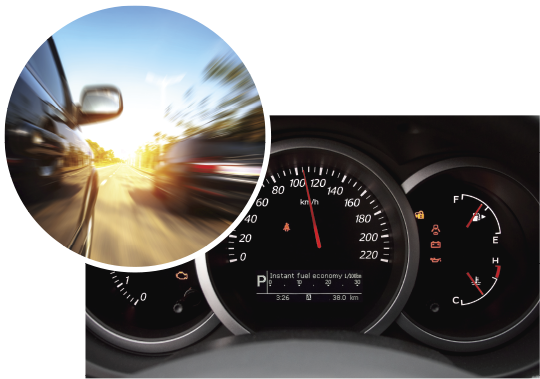 You can use this information to track repeat offenders and better monitor the individual performance ratings of each driver/vehicle combination.